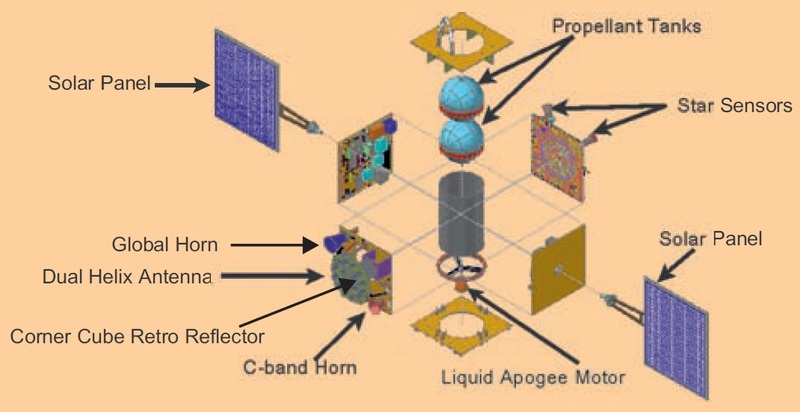 The IRNSS project was approved in 2006 and is baselined for a total of seven satellites with a potential future expansion to eleven spacecraft. 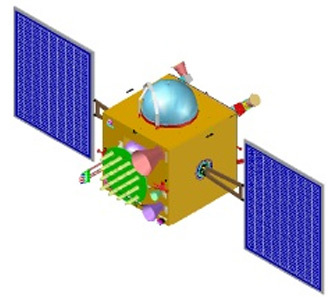 In its fully operational configuration, the IRNSS constellation will consist of three satellites in Geostationary Orbit and four spacecraft in Geosynchronous Orbit inclined 29 degrees to the equatorial plane. 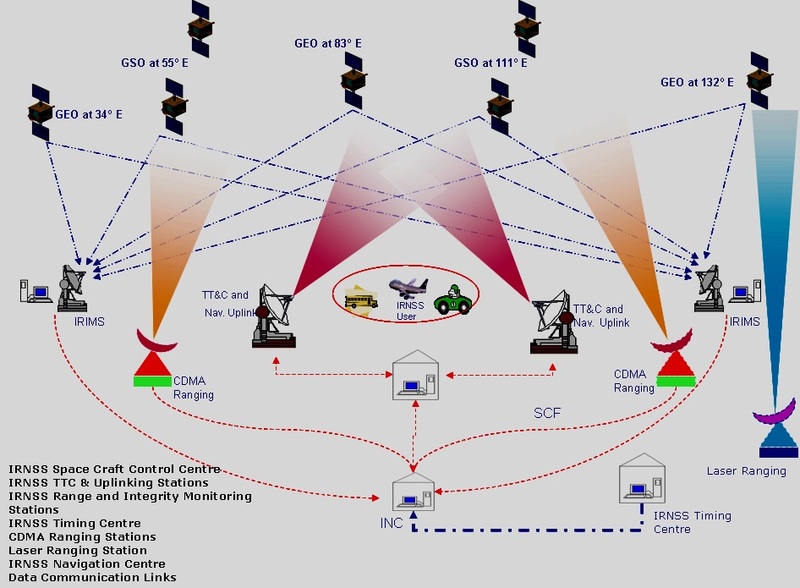 The system is designed to be compatible with the US Global Positioning System and Europe’s upcoming Galileo constellation using navigation signals in S-Band and at L5. The deployed constellation will only cover India and surrounding regions with high-accuracy services available about 1,500 Kilometers beyond the Indian territory. The IRNSS-1 satellites have been designed and developed by the Indian Space Research Organization, ISRO, based on the I-1K Satellite Bus. The Spacecraft Bus is 1.58 by 1.5 by 1.5 meters in size with a dry mass of 598 to 614 Kilograms. 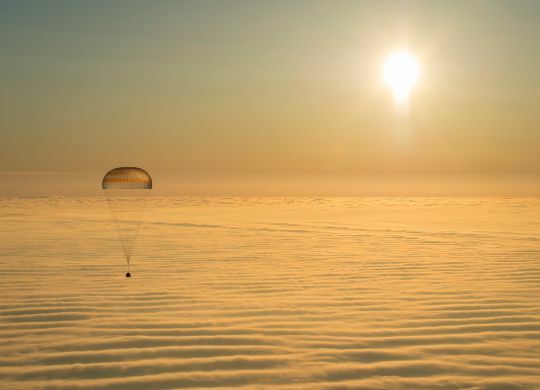 Fully fueled, each of the spacecraft weighs 1,425kg. The heart of the satellite payload is a highly accurate Rubidium atom clock that is used to generate navigation signals with two additional clocks available as backup. The payload of the satellite operates in L5-band at a center frequency of 1176.45 MHz and a bandwidth of 24MHz and in S-Band at 2492.028 MHz with a bandwidth of 16.5MHz. The fifth satellite, launched in January 2016, entered the constellation as the second craft in the 111°E GSO, marking the transition of IRNSS to its Initial Operational Capability, allowing the system to deliver initial functional services. 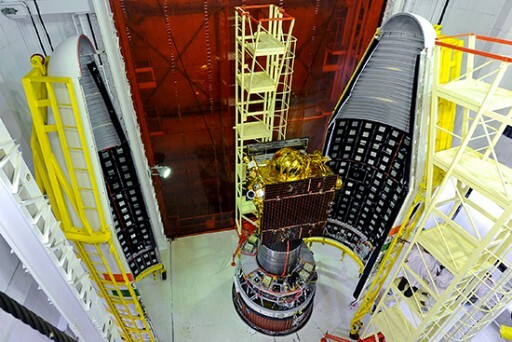 IRNSS-1F launched in March 2016 and entered the westernmost spot in the constellation to expand this coverage sector in the final dash to fully establish the operational constellation. 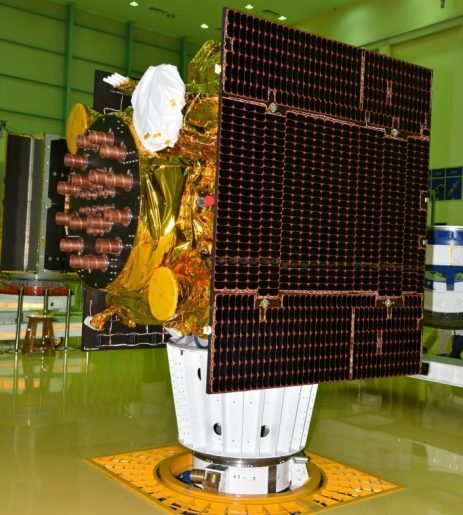 The G satellite took up the remaining slot at 131.5°E in the constellation to fully establish India’s navigation architecture that is set to enter operational services by July 2016. By early 2017, it became clear that all three rubidium atomic clocks on the IRNSS-1A satellite had failed, severely disabling the craft’s ability to deliver accurate navigation signals. It was determined that the clock failure on this satellite, and possible additional clock issues on other IRNSS satellites, was the result of a defective component on the imported clocks, built by Swiss company Spectratime. 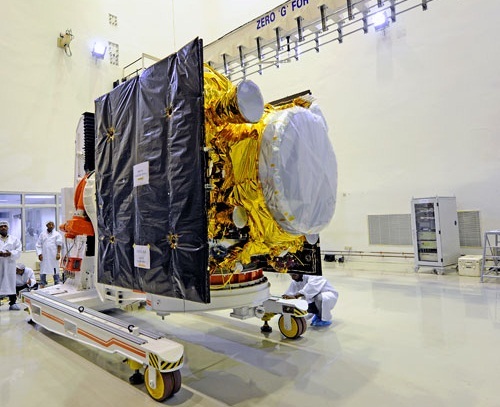 The same issue was observed on at least three clocks on Europe’s Galileo constellation and corrective action was taken to replace the implicated component. As a result of the loss of IRNSS-1A, ISRO decided to move forward with the launch of the IRNSS-1H and 1I satellites in 2017 with 1H replacing the 1A satellite and 1I becoming an in-orbit spare to be able to quickly take over for another satellite in case of more clock troubles. Both IRNSS-1H and 1I use repaired rubidium atomic clocks not prone to the failure signature observed on IRNSS and Galileo.